Our donors and supporters are a vital part of our mission. Together we are working towards long-term solutions to food insecurity while helping families keep their cupboards and plates full. Learn more about some of our diverse team of donors by clicking on a story title below. Sunpan Modern Home has been a loyal supporter of Daily Bread for more than a decade, and it all began when Sundeep Bagga, Sunpan’s President, made a promise to carry on his family tradition. Committed to giving back to the community and our neighbours who need it most, Sunpan has helped provide 200,000 meals to individuals and families living in poverty in Toronto – what an incredible impact! This year Bank of America Merrill Lynch and Daily Bread are marking 20 years of working together to help Torontonians in need. Over two decades, BAML have generously supported Daily Bread through their foundation – providing over 300,000 meals in the process – and have committed to giving time as regular volunteers in our warehouse facility, including every American Thanksgiving. 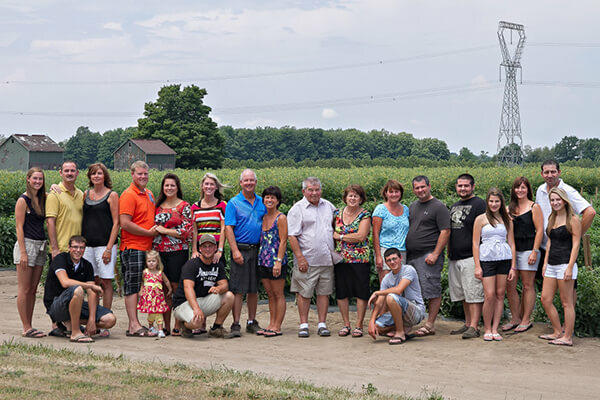 The Chary family moved from the Ukraine in 1912 and began farming in the 1930s, growing everything from apples to zucchini on their farm in Oakland Ontario. Decades later, in the late 1980s, Chary Produce was founded and has been steadily expanding over the years. Since connecting with Daily Bread’s Farm to Food Bank program in 2017, Chary Produce have donated over 20,000 pounds of produce, feeling grateful for the opportunity to provide fresh food to people in need. Dominion Farm Produce, one of Daily Bread’s largest produce donors, has been supporting the food bank – and the thousands of people who depend on it – for more than a decade. Each week they deliver ‘seconds’ of carrots, onions, parsnips and beets – perfectly healthy produce that can’t be sold because it doesn’t qualify as Canada No. 1 grade. And since partnering with Daily Bread, Dominion Farm Produce has donated more than 2 million pounds of fresh, nutritious produce – and counting. Tony Tomizza runs the family farm – a second generation farmer who took over for Nino, his father, when he retired in 2006. Tony is happy to carry on the tradition set by his father of giving back to the community. Each week Daily Bread can to depend on Dominion Farms for regular donations, allowing people across the city to access fresh produce at their neighbourhood food bank and meal program. Daily Bread recognizes the lasting legacy of Lawrence Schafer, a committed supporter for over 20 years. 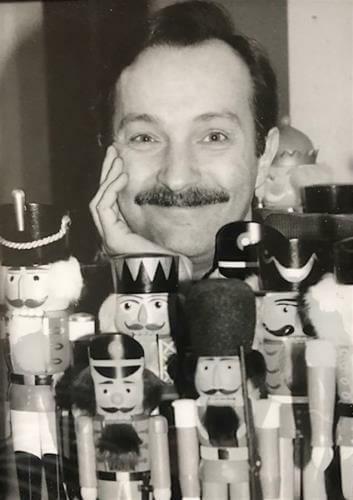 Lawrence had a long career in the arts, creating stage designs for regional Canadian theatres and teaching Art History at the University of Toronto for 11 years. Believing it was important to give back to the community, he formed the Lawrence Schafer Foundation. At Daily Bread, we are incredibly grateful for Lawrence’s commitment to making Toronto a better place for everyone. Al Pace and his family have been proud supporters of Daily Bread for more than 10 years. For Al, supporting those in need in his community is simply the right thing to do. 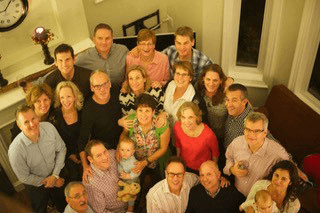 The Pace Family Foundation was founded in 2007 and has been involved in a number of projects related to poverty, education and health in Canada and in parts of Africa. Daily Bread is grateful for the Pace Family Foundation’s committed support in alleviating hunger in Toronto. Joining Daily Bread as a community partner in 2016, Cancer Care Ontario employees have gone above and beyond in their efforts to ensure thousands of people in Toronto can continue to rely on their neighbourhood food program. Throughout the year, hundreds of employees volunteer their time and raise food and funds, rolling up their sleeves to sort food, collecting donations at subway stations or hosting an online charity auction fundraiser. By mobilizing their staff through the CCO Cares initiative, Cancer Care Ontario has raised more than $40,000 and 3,000 pounds to date. 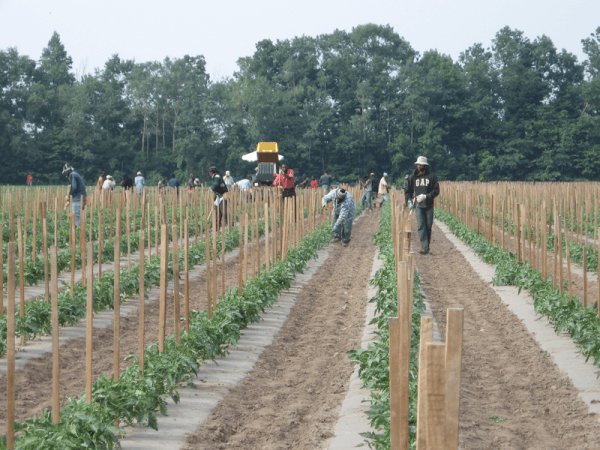 Procyk Farms is a 4th generation farming operation growing fresh produce for over 70 years. Rooted in the Procyk family’s belief that access to food is a human right, they became involved with Daily Bread’s Farm-to-Food Bank program and were excited by the opportunity to supply fresh, nutritious food to food-insecure communities. The Wilsonville farm began their partnership with Daily Bread in 2017 and since then has donated over 100,000 pounds of fresh peppers, zucchini, cabbage, squash and tomatoes.